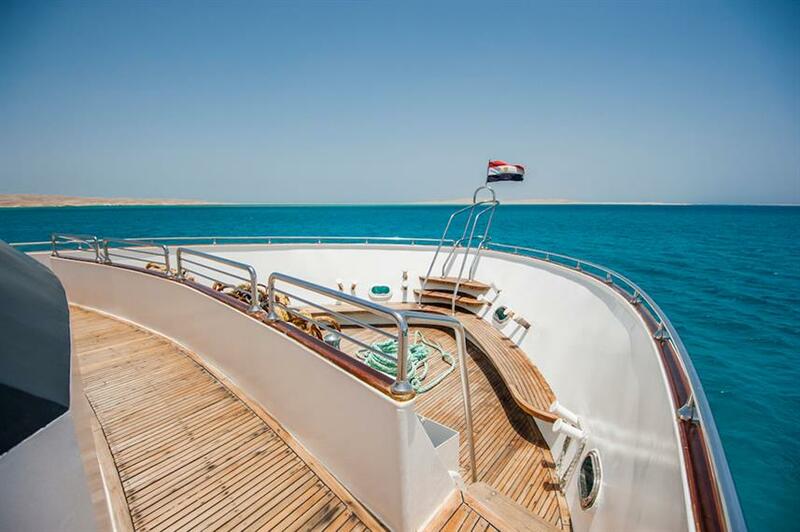 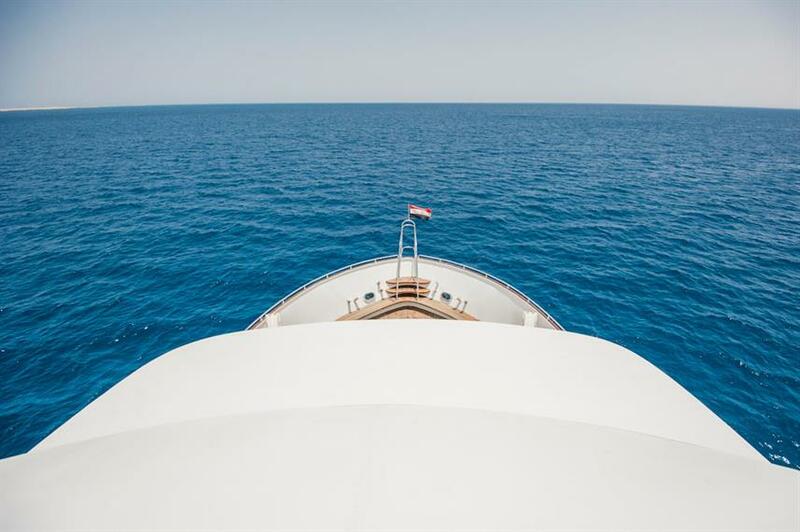 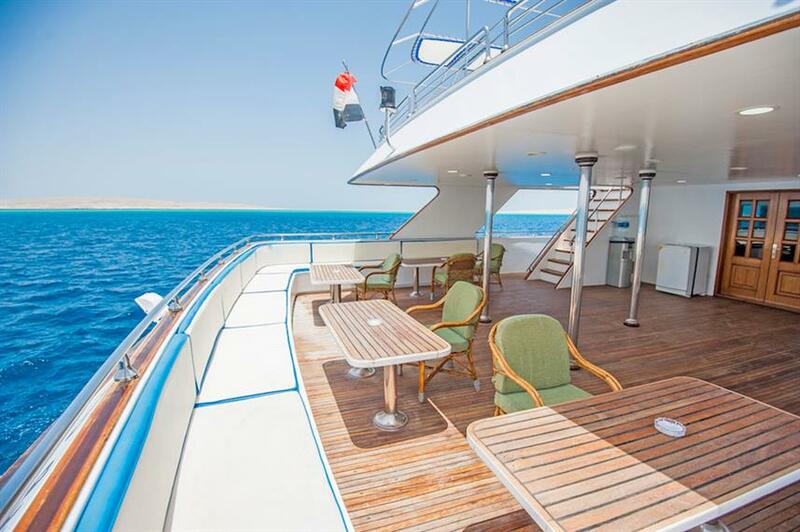 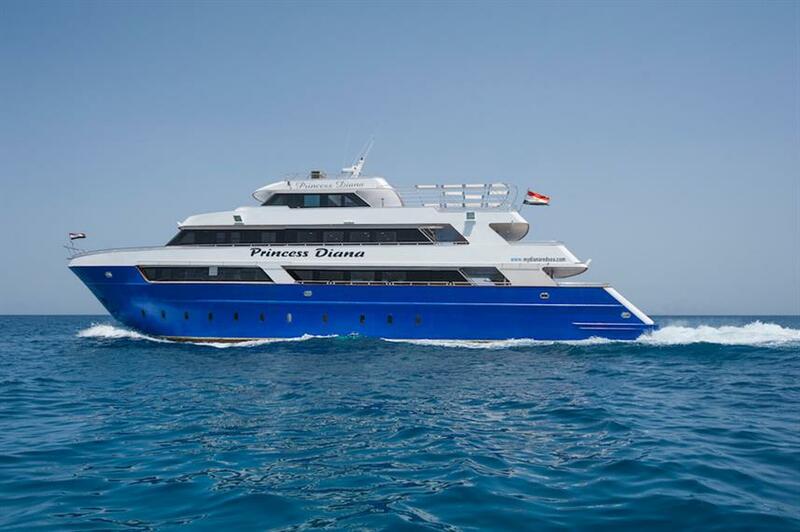 Princess Diana is a 5 Star liveaboard offering year-round diving in the Red Sea. 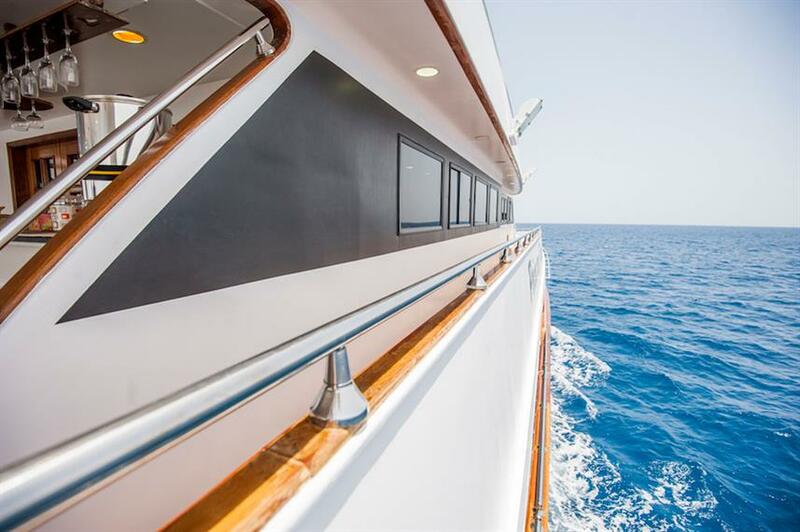 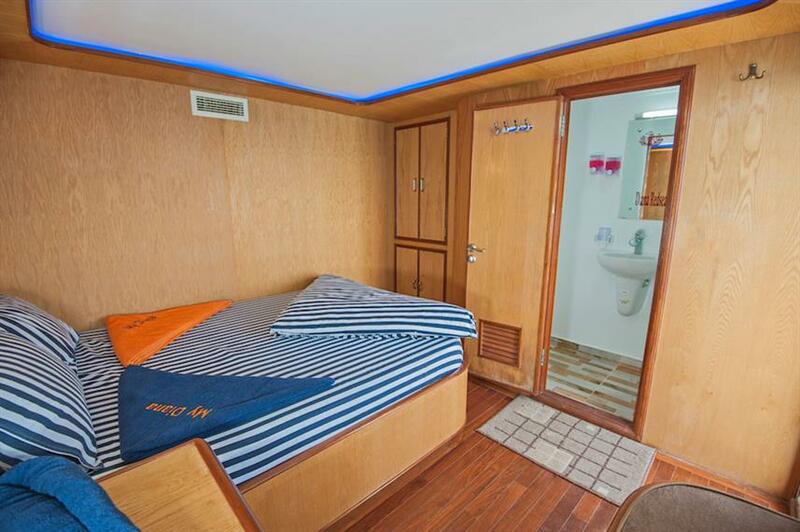 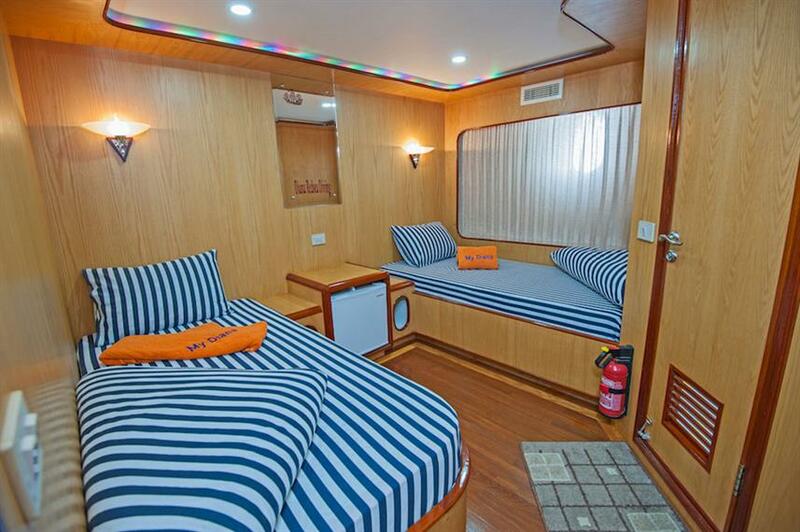 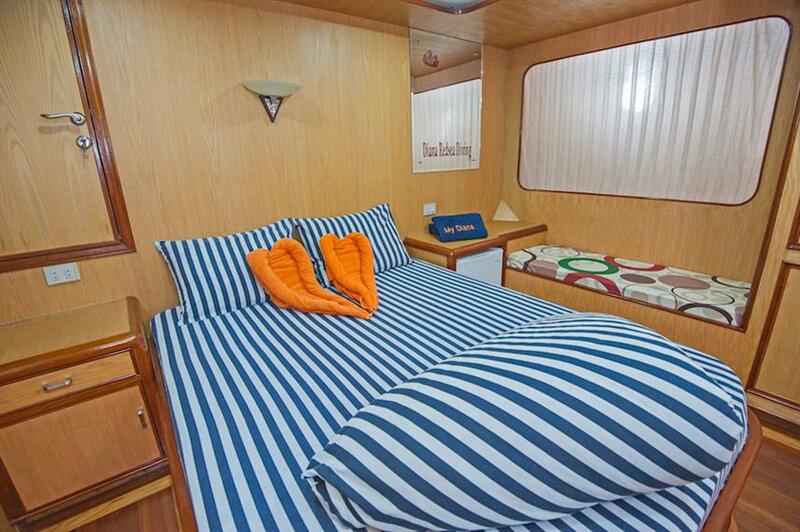 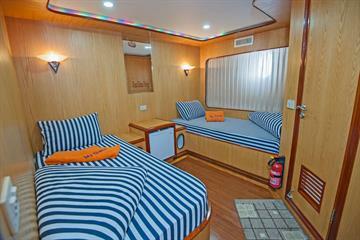 There are 13 luxury cabins on board which comprise of 5 suites and 8 standard cabins. 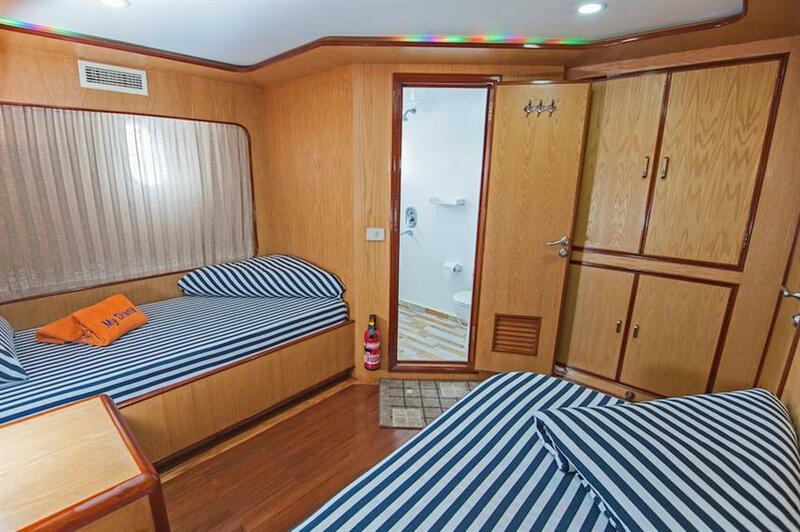 Suites on the upper deck have ocean views and double beds and all cabins feature AC and ensuite bathrooms. 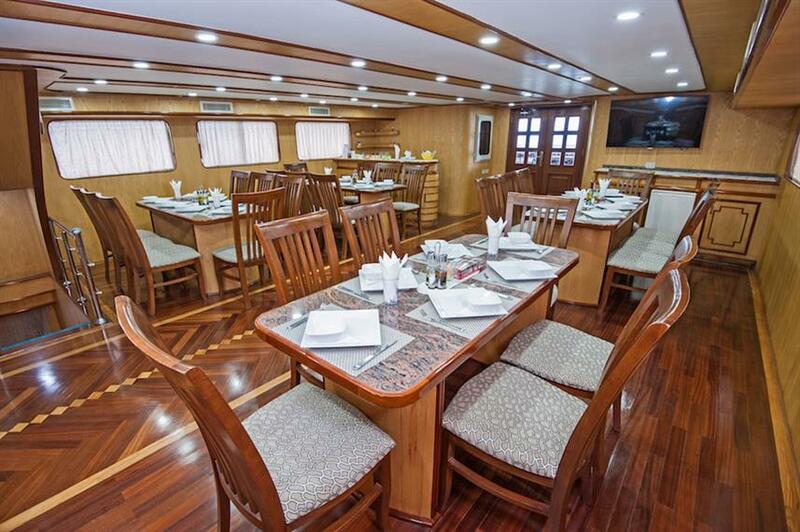 The large indoor dining area seats 28 guests comfortably. 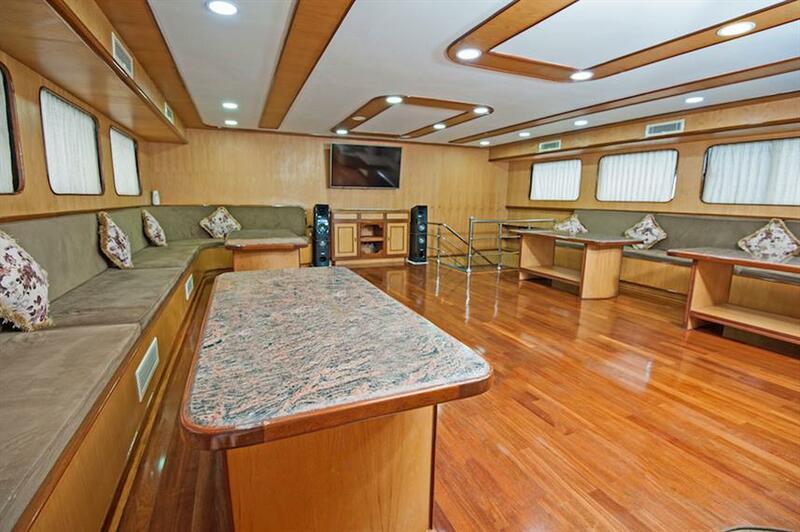 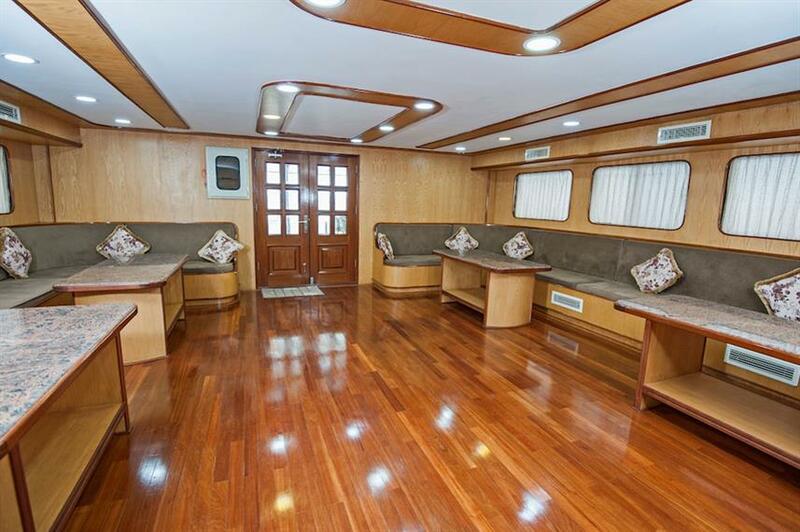 The spacious upper deck salon has a full assortment of home entertainment with TV and audio system. 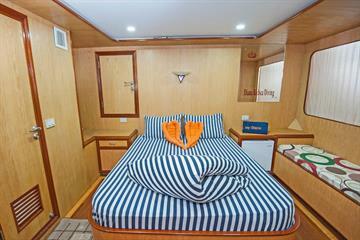 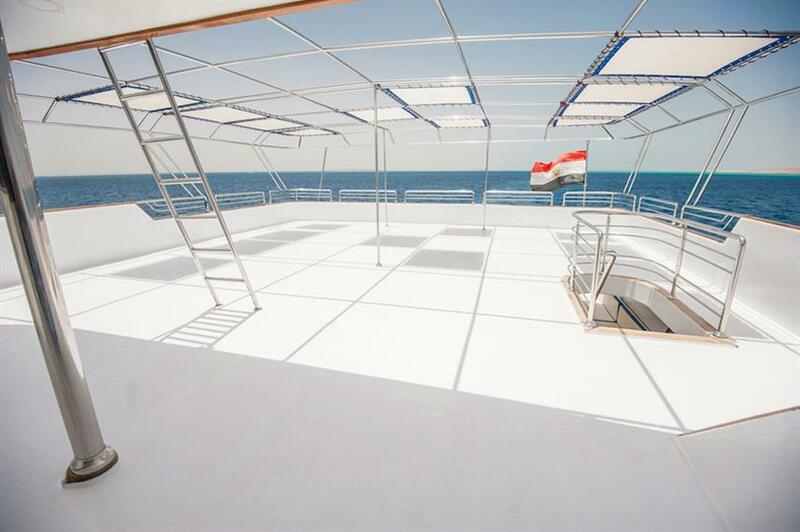 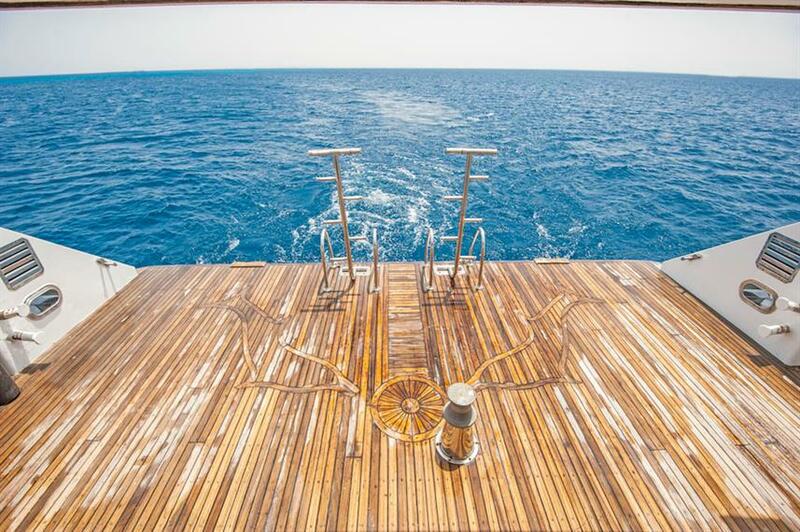 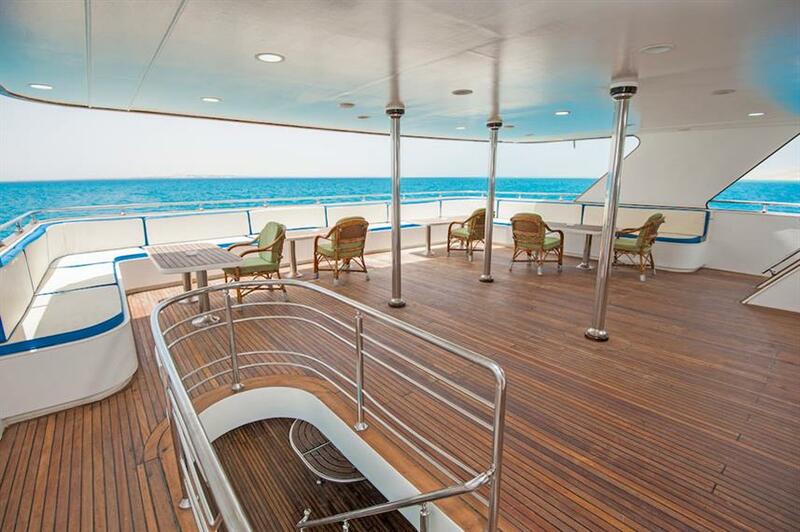 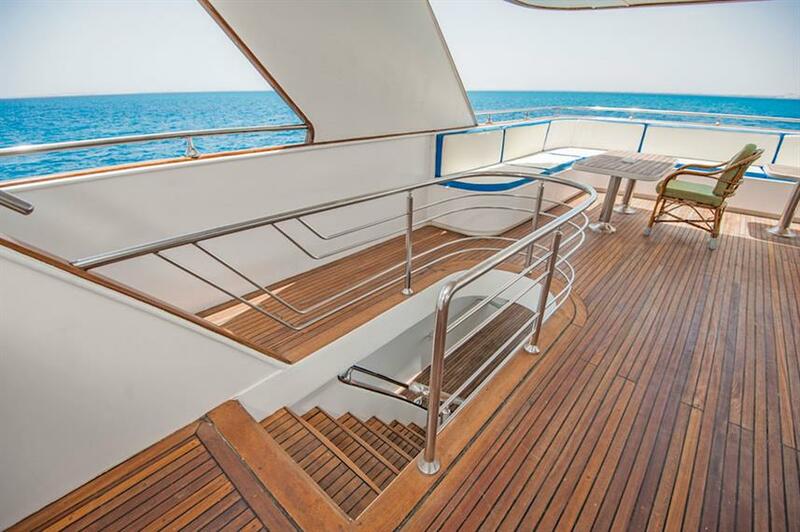 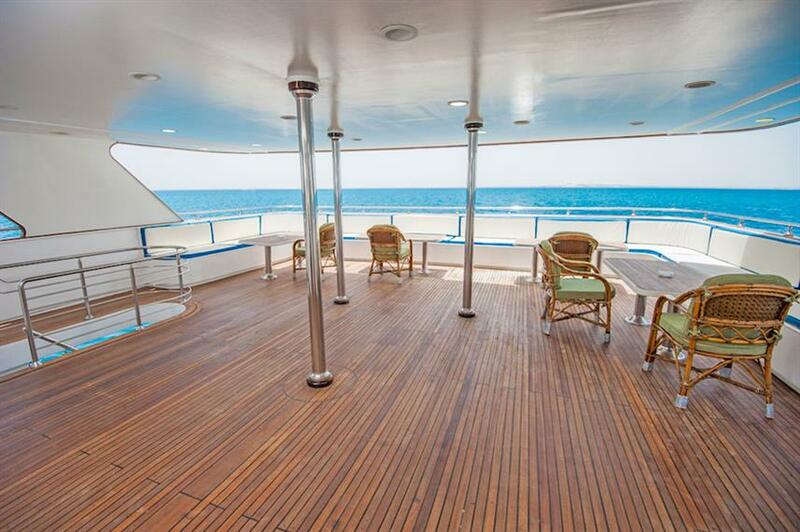 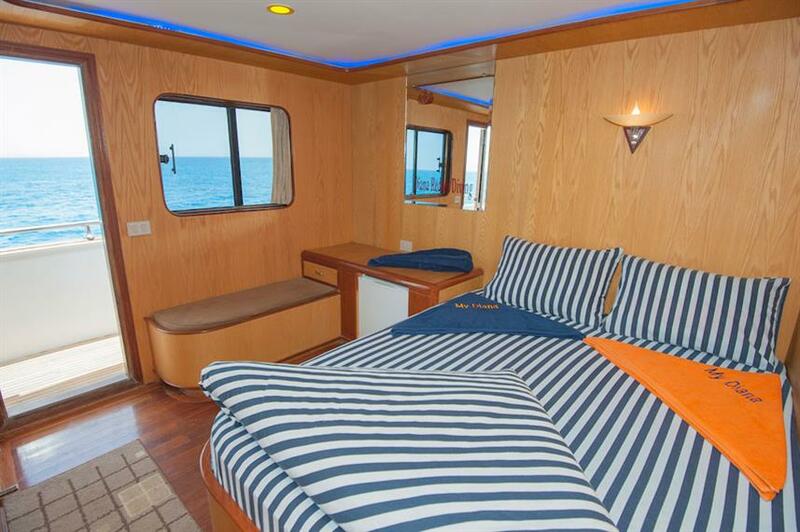 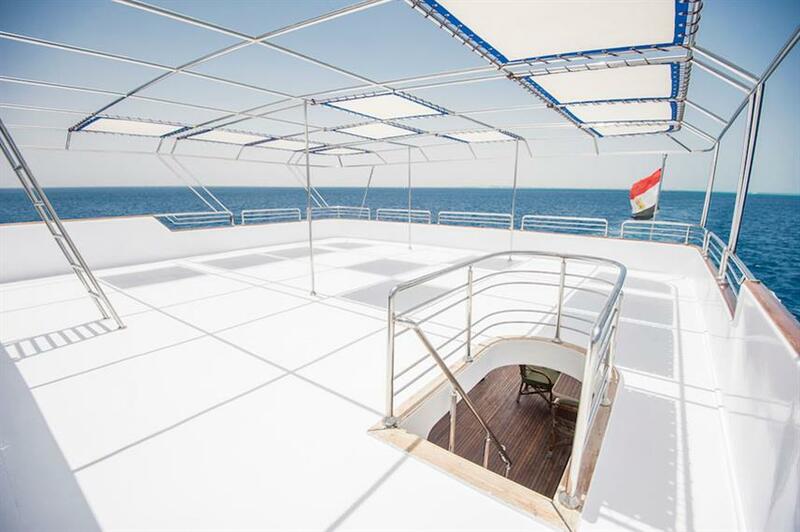 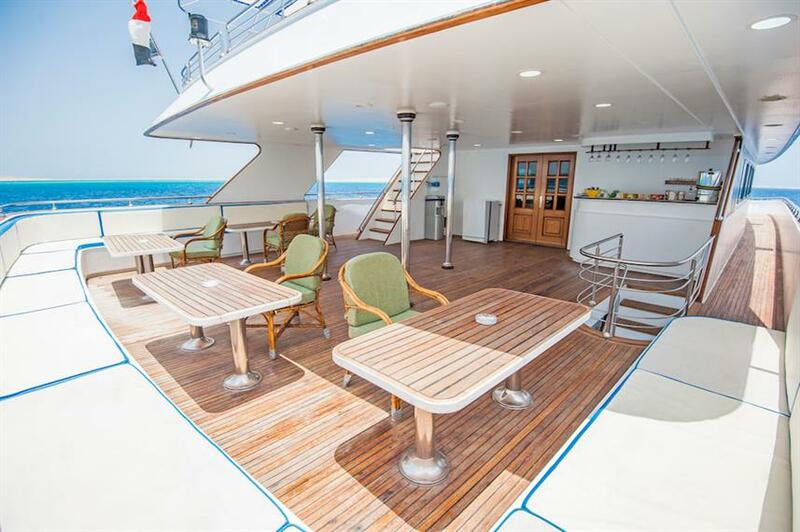 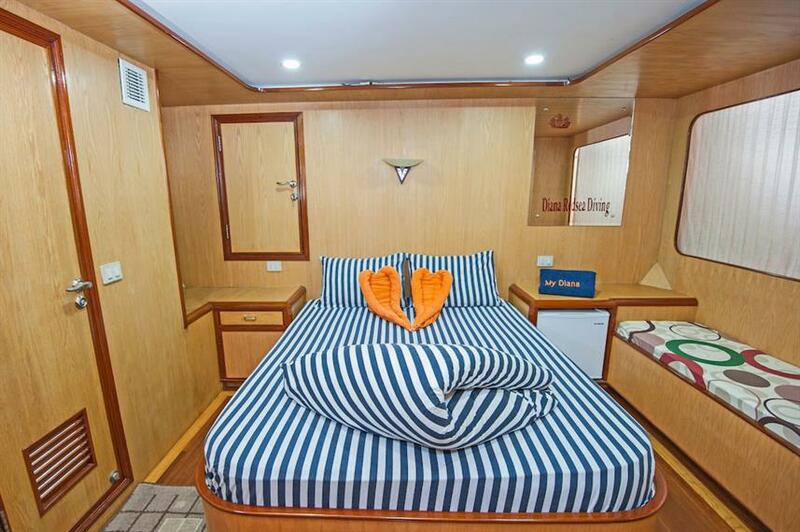 There are also two large partially shaded sundecks with loungers, perfect for relaxing in-between dives. 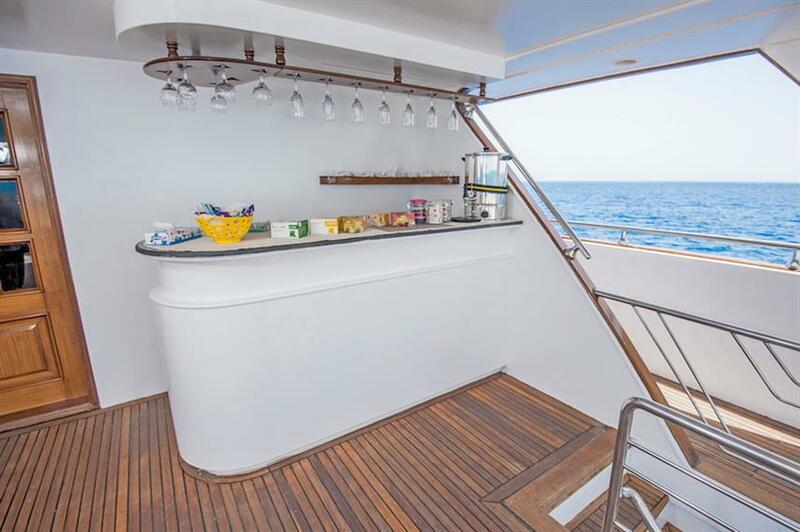 The outdoor lounge and bar is a great place to unwind at the end of the day and enjoy the Egyptian sea breeze. 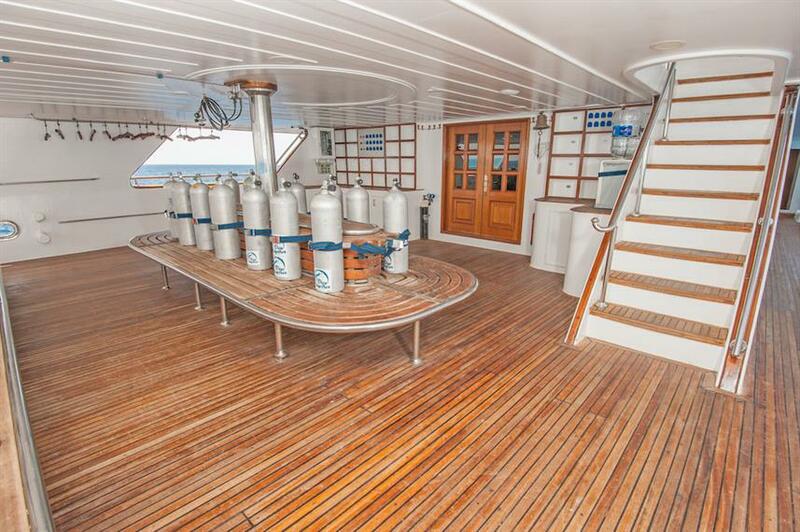 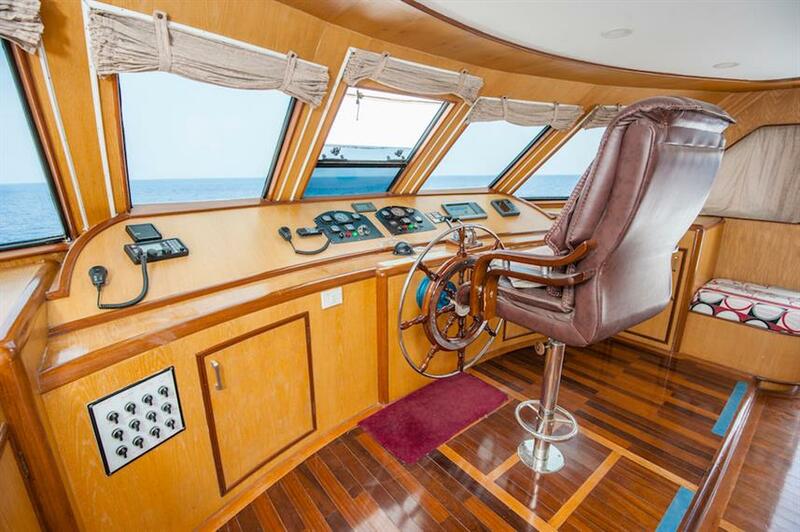 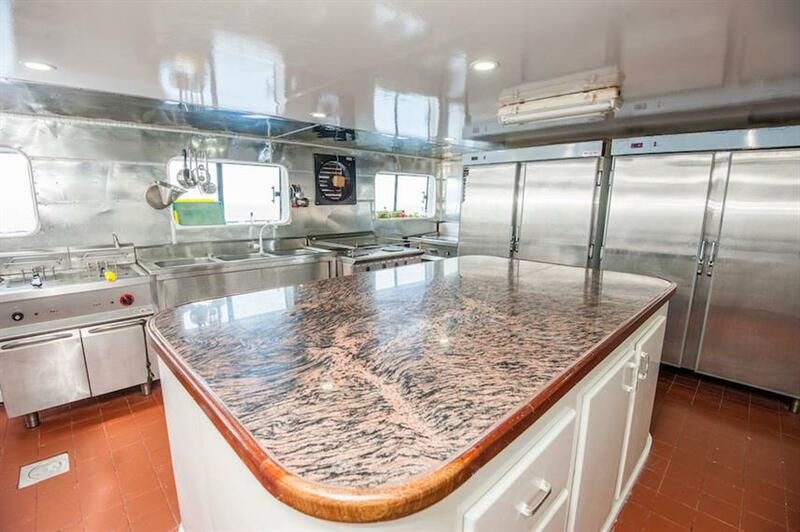 The large dive deck located at the back of the boat offers ample room for kitting up, gear storage and rinse tanks. 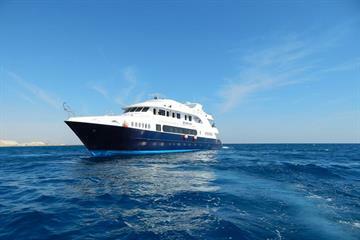 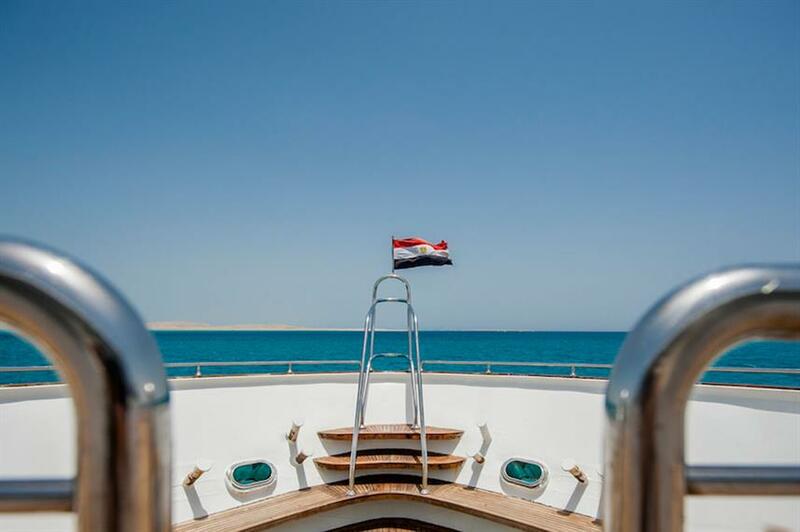 Itineraries visit some of the best dive areas in the Red Sea, including Brothers Daedalus and Elphinstone Reed. 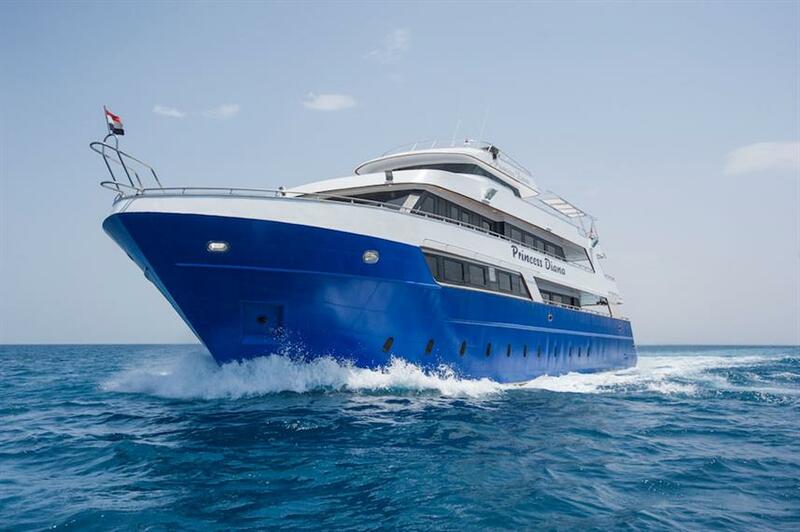 The North tour is perfect for wreck lovers and explores the world famous SS Thistlegorm, Rosalie Moller, wrecks of Abu Nuhas and stunning area of Ras Mohammed. 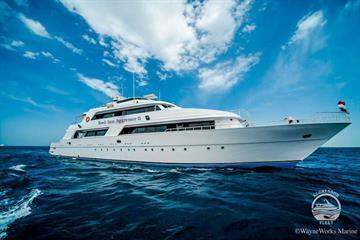 The North and Brothers tour is the perfect combination of wrecks and reefs. 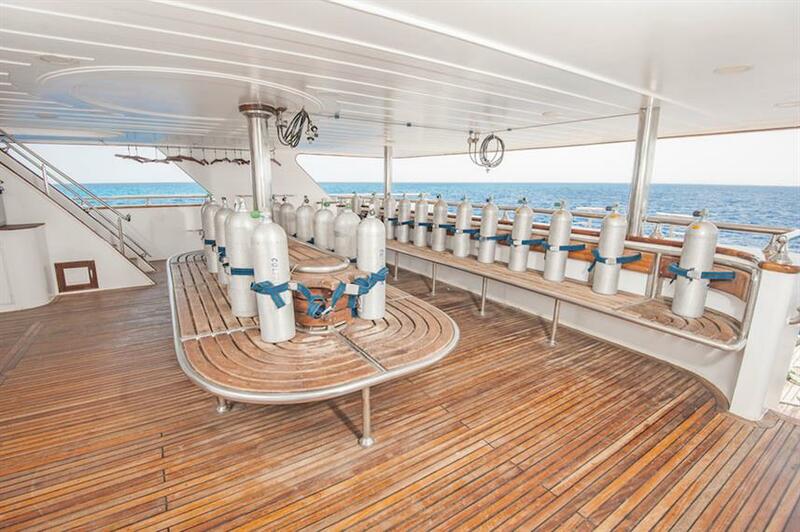 Nitrox is also available at a charge for those certified. 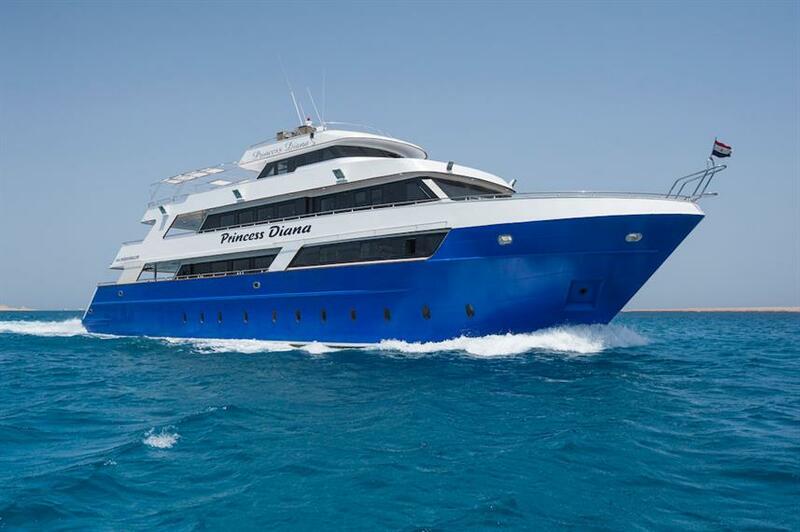 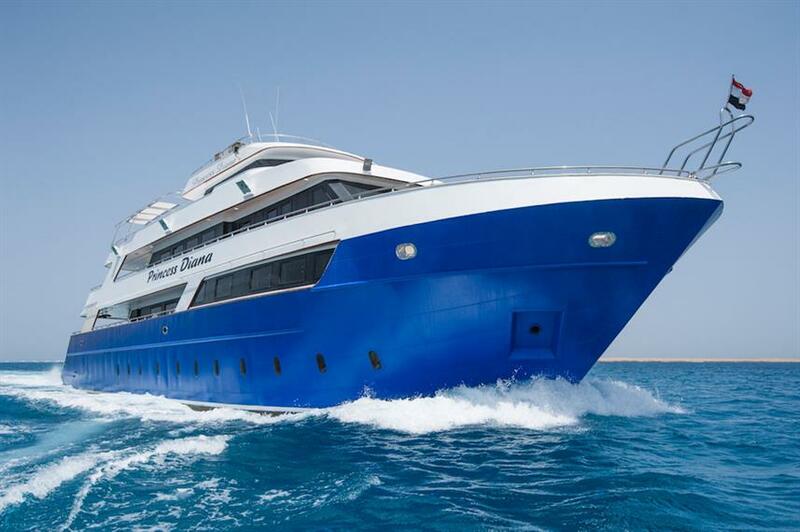 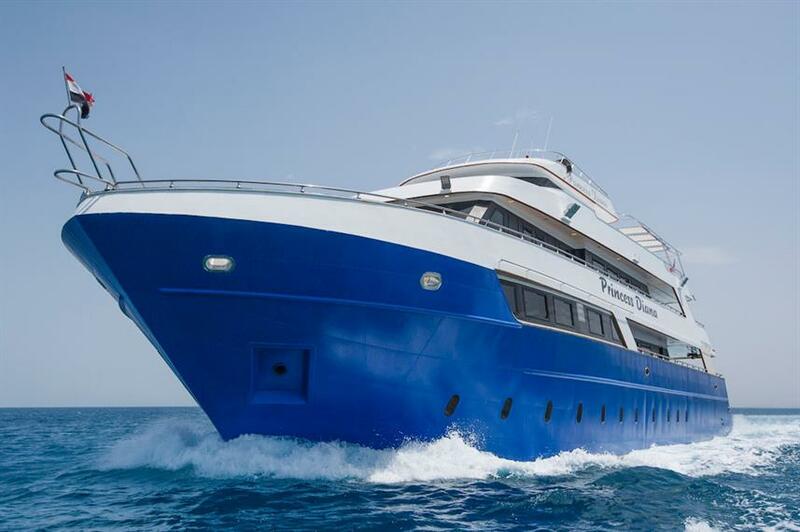 For a fantastic dive liveaboard in the Red Sea call us or book online today to reserve your space aboard Princess Diana. 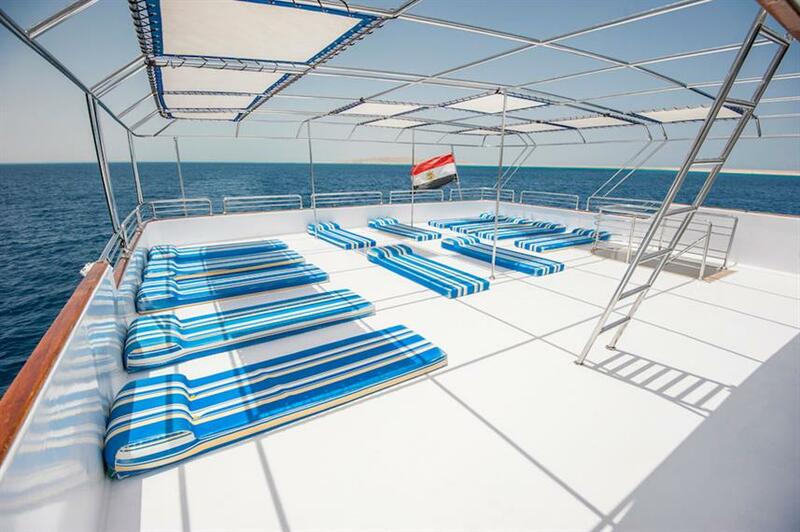 Included: VAT, Airport Transfer, Hotel Transfer, Drinking Water, Soft drinks, Tea & Coffee, Full-Board Meal Plan (All meals), Snacks, Special Dinner, Diving Package, Cabin Towels, WiFi internet. 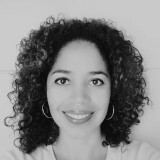 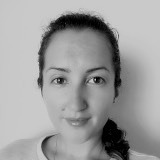 Required Extras: National Park Fees (30-160 EUR), Visas and Fees. 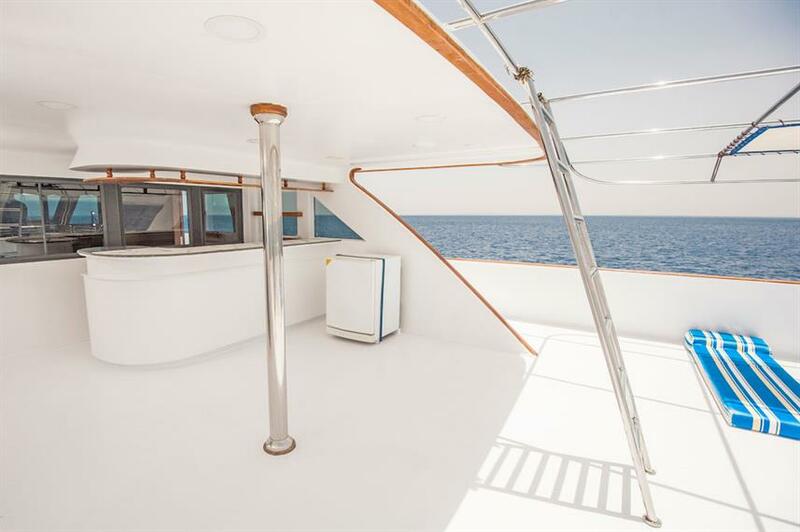 Optional Extras: Dive Insurance (6 EUR), Gratuities, Alcoholic Beverages, Extra Dives, Nitrox Course, Private Dive Guide (350 EUR), Rental Gear, Scuba Diving Courses. 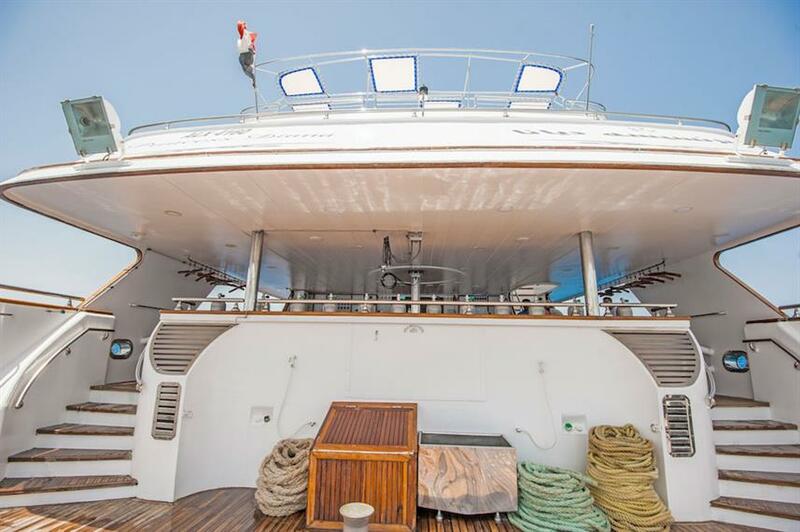 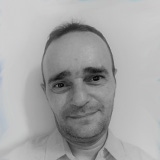 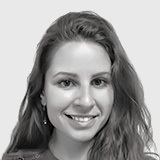 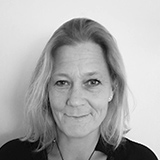 The crew speaks English, French, Swedish, and Italian. 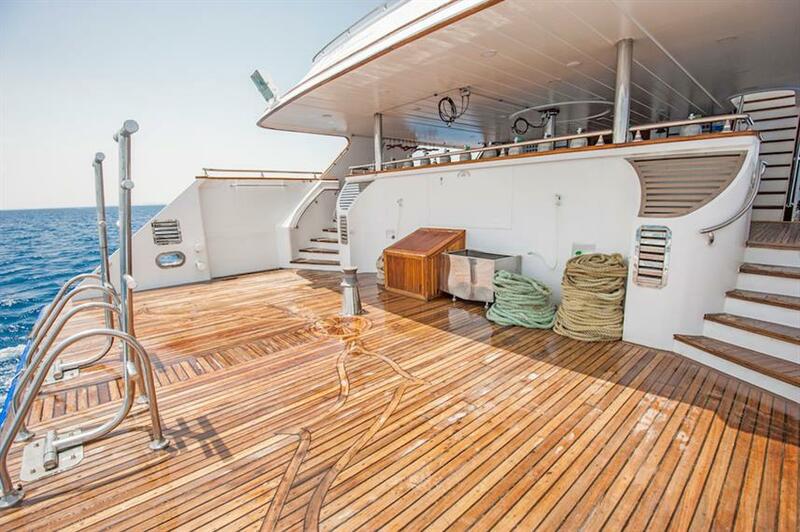 4 Suits on the upper deck and 1 on the below deck.